Good customer service can be a rare commodity. Many companies go on about how important it is, but only a few of them are any good at delivering it. 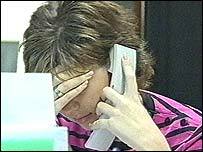 How often have you spent ages waiting on a phone line or being passed from pillar to post - or simply being ignored. Among the companies that are trying to reverse that trend is High Street clothes retailer Arcadia. It has spent lots of money refurbishing its new flagship Dorothy Perkins and Burtons stores in London. Luxurious new changing rooms have been put in and customers can now book appointments with their very own fashion consultant so they can shop in style. "It's completely unique for the High Street," says Philippa Nixon, a style adviser at Dorothy Perkins. "It's a designated area for customer service. You get comfy chairs, you get magazines, you get somewhere to relax and make your decisions slowly. There's no pressure to buy." Improving the treatment of its customers lends value to Arcadia's overall product. It can be just as important as the price, range and quality of the clothes it sells. 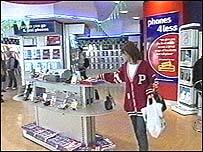 Another company determined to raise its game, but through slightly different tactics, is Phones 4U, the mobile phone retailer. It's not putting in comfy chairs or offering coffee and biscuits to its customers - it's looking internally. In fact, it's so worried about the service it provides, staff have just been banned from using e-mail - the idea is that they can then concentrate more on their customers. 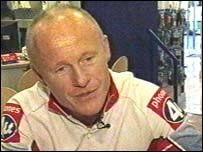 "It had reached such ridiculous levels, with staff taking up 40% of their time e-mailing, that I decided to just ban it," says John Caudwell, chief executive of Phones 4U. "We're known for good value but not necessarily for good service. We're known for good value but not necessarily for good service. "As a consumer quite often you get a good deal in a shop but don't feel the service is up to scratch and I don't want my business to be like that." To make sure that doesn't happen, Mr Caudwell is laying on extra training and bonuses for managers. But when staff are under pressure to sell as many phones as possible does profit rather than the treatment of customers become the priority? "I really don't see any disparity between customer service and maximum profitability", he insists. "If you can really focus on the customer and give them a fantastic service, then what you will get is more referrals and far more sales per pound of fixed cost." New research shows that 85% of companies understand that customer satisfaction - the way consumers are treated - is just as important as the price and quality of the products they sell. The problem is that only 15% of these firms are doing anything about this. And they need to do something about it - 80% of consumers don't trust the companies they do business with! "Consumers are not treated very well," says Colin Shaw, who works as a customer experience consultant. "If you were to ask yourself what was the best experience you've ever had, most people can't think of one. "If you think of the worst experience you have had, then you can probably think of lots of them." The service a consumer expects will depend on the product they're buying, and take different forms. But it's clear that how they are treated does indeed matter. And while good customer service can cost businesses money, it can also increase their profits in the long run. "Treating customers well is coming back into fashion"